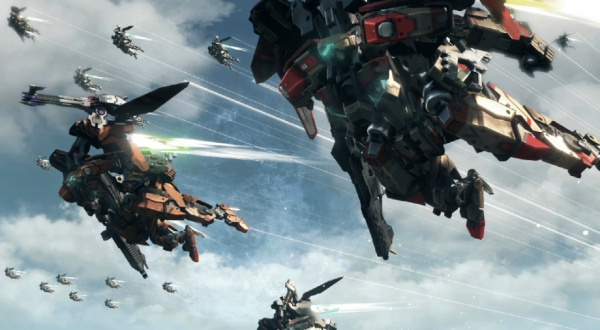 Xenoblade Chronicles X has had us drooling over its mighty array of transformable mechs from the very beginning, treating us to glimpses of these powerful weapons soaring across the sky and engaging in combat. Today's special Nintendo Direct focused on the upcoming Western localization, and revealed that the technology has been re-branded. We've previously known these beastly machines by their deceptively-demure Japanese title of "Dolls", but this translation hasn't made it across the pond. Rather, we'll be calling them "Skells", which sounds a bit spooky scary, but does have a nice futuristic edge to it. Rest assured, they're still as versatile and exciting as ever when it comes to gameplay, it's just a simple name change that's part of the Western translation. It's possible that we'll see a few more similar changes throughout the planet of Mira and her five main continents, but that remains to be seen. Are you ready to earn your Skell license and get exploring? Let us know with a comment below! I shall name my Skell... etor. "Dolls" would not have really worked over here. I can live with "skells". Skells? This reminds me of how the Japanese Pokemon region Isshu sounds tons better than the English version: Unova. Yes "Skells" is much better. I am very excited for this game now, the footage looks awesome: large world with lots to do and very appealing looking. I loved watching the stream seeing some of the english text already in the game. "Doll garage" well can't keep that one, why bother putting english text in when they're just going to change it. When you have over an hour of live gameplay footage and the only thing worth mentioning is changing the name of "Dolls" to "Skells" you know they are not doing a very good job w/ their video. Meh, I really liked the ironic title of 'Doll' for the GIGANTIC FREAKING HUNK OF METAL COVERED IN HEAD TO TOE WITH WEAPONRY! Skells feels like it's trying too hard to be scary. I like skells better does anyone think we will get a release date before E3? The only Xeno game I've played as been Xenogears back on the PSX. That was a fun game. Not so sure about this one though. Only really ever seen cut scenes. It was fun to watch, i guess now it's waiting for E3 for a possible release date... If we are lucky enough to get one than. That might be the only new thing. And that overhead camera. That looks awesome. @Blast Sounds like someone's got an issue with Isshu. Either way the hype can not be contained...do bad I got stuck on a bad client issue halfway through and had to stop watching. @Fearful-Octopus I'm thinking they are saving it for E3. Later this year makes sense since they need a big title for the holidays. @Yorumi because that's how Monolith intended it to be. They have a ton of English text in menus even in the Japanese version of the game. I honestly don't know what I expected tbh...was hoping (but not really counting on) a first glimpse of the dub. Like..maybe have at least Elma or Lyn's VA narrate that first segment. But the fact that they admitted that they did not even finalize a lot of the terms yet has me a bit worried. There's, of course, always the possibility that they want to get the entire script out of the way before they work on the less important things in menus tho..I guess. We will mist likely get at least 2 more streams like that, tho, if the end of the narrated "trailer" is any indication. I liked that they showed a little of the world. About what I expected in terms of variety considering how "little" we've seen. I prefer this name tbh. @Smashy_Link I don't think it's terrible myself, but I've just been thinking of them as dolls for a while now, hard to undue a term like that in my head. @sinalefa - I left "later this year" out of my poll yesterday Sin, it should have been 5 and I could have chosen E.
I guess after an hour and 12 minutes they decided "later this year" was their big announcement. @rjejr don't even try to be sarcastic/cynical or w/e if you didn't bother watching the stream. There's not much entirely new apart from the official English names that wasn't already covered by Nlife when the Japanese presentations were streamed. They did a really good job at showing the game off to people who didn't follow the Japanese streams/announcements. @Tsurii897 well i Know, and it's not uncommon for japanese games to have english text. It's just weird that nintendo would decide to change it when the english text is already there. And it's just a weird change too, the name of the mechs for a game like this isn't going to have even the tiniest bit of effect on sales. I mean I get when terms are changed cause it's something that doesn't make any sense at all in the culture, but I don't know it's just kind of weird. Skell definition per Wikipedia: Skell, as a stereotypical or archetypal designation, refers to a person who is homeless, vagrant or derelict. It is often used to connote such a person who is habitually engaged in small-time criminal activity, especially by one working as a con artist or panhandler. 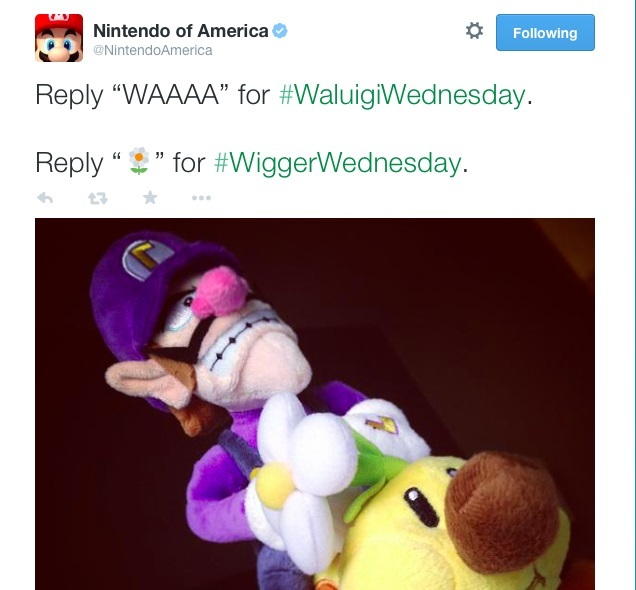 This is as bad as "Wigger Wedneday." @Tsurii897 - If you go back and look over all the comments you'll see I did watch the stream. And my son was here w/ me watching so I have a witness. But you tell me, what was the point of this? Over an hour of gameplay. We already knew it was coming out, this didn't really tell us anything all that new or dfiferent or great. If they had a normal ND first w/ the date and maybe amiibo support or whatever, then an hour of gameplay, ok, but this just out there for no reason. What was the point? Oh, and @Ryno can vouch for my watching the stream as well. So some marketing morons got together and decided 'Doll' wasn't masculine enough. Typical of most western localizations. It doesn't matter what they're called as long as they play well. Think I'll call mine Wing 0. @Yorumi Yeah I was convinced it wouldn't be changed, since the original Japanese game specifically used an English term in both text and spoken dialogue. Like you said, I could see if it were some Japanese term that didn't have a good translation in English, but doll broadly speaking just means a human shaped figure. I'm with @rjejr (watched it with him online), what was the point of this gameplay footage on a random April day. @Ryno wow, that just makes it bad. @rjejr when I was watching the stream I was constantly thinking who exactly is this directed at? They were treating the audience as though they had never played a video game before. However, xenoblade is not some causal game, the people buying are going to be experienced gamers. "Lets talk about the fuel gauge, when you use actions it depletes fuel and you need fuel to power your skell." Thanks, I wouldn't have known how fuel worked in a vehicle if you didn't explain it to me so clearly. Sounds okay, although I feel I may end up thinking of them as 'dolls' anyway. @Blast Maybe it's me, but I think Unova sounds magnitudes better. Can't wait to pilot my homeless criminal mech! @Ryno that's hilarious. I never saw that NOA tweet before. The word sounded right in my head until I came accross the comment that explained it's meaning (not a native speaker, and I admittedly never heart it before). I don't know... Sound is right, but I feel that they could have named them in a number of different ways that would also be right, but without the unintended awkward/comical element. Still - much better for western audiences than "Dolls", that was just awkward IMHO. My guess is that this is directed to NA players who did not bother to catch the Japanese videos. My second guess is that Nintendo is trying to broaden the appeal of this to people not normally interested in this game. Even the time was odd for a Direct. That would also explain the language used. And this would fuel my hunch that this may be released as one of (hopefully not THE) Holiday 2015 title. Maybe Nintendo will start to advertise all of their titles, that sounds good to me. Seems like I took it wrong. So..sorry for that, I guess. But about the stream itself..it was clearly aimed towards people who didn't follow the updates on the Japanese website and watched the different presentations. You have to keep in mind that we were not the target audience for those. And, as I said, I think if you see it that way, they did a good job at showing off the basics, even though I admit that some explanations were a bit wonky. But that's what you get when you want to present the game as you're actually playing it and you're not just showing pre-recorded footage. They said it themselves when they talked about the Pilot view (was that what they called it? ): they couldn't really control when or if certain things happen. It's still nice to have an english direct tho since as others have said, not everybody is following the japanese announcements. ExoSKELLeton. Awkward definition aside, it seems to fit. And Doll felt like a word that Japanese people would use without having full knowledge of the English language. They often think a lot of English words sound "cool", and don't consider the meaning or general use of the word in question. A good example was "Genocide City" for a scrapped level in Sonic 2. Cool as it may have sounded, they weren't fully aware of it's meaning, and it had to be toned down. I probably wouldn't have minded if it stayed as Doll, but giant robots deserve cool names. On that note, I'm naming one MEGAS. This was the only thing worth talking about from the most pointless direct ever. Thank the Lord. Skells sounds 100 times better than "Dolls". @ningeek185 Personally I think it sounds worse, though doll isn't much better, not for the meaning just cause it doesn't really seem like a mech suit. But really almost anything would have been better, mech, armor, combat suit, tank, heck I even think Exo(short for exo-suit) would have been cooler. For that matter Fighter, like the aircraft, it's pretty obvious those have replaced planes. Doesn't matter much to me, just kind of an odd choice for a name. @Tsurii897 - No problem, we're good. And lets face it, even if I hadn't watched the vid I'd still be sarcastic/cynical, that's just who I am. I liked "Doll" however I've played enough jrpgs and watched enough anime that it didn't strike me as odd. I like Skells more than Dolls. Dolls make them sound like toys. I liked the irony of calling hulking mechs "Dolls." I thought that was why the name was cool. Denied. I'll keep calling them Dolls. Skells doesn't sound really good. So I guess that in an entire Direct they couldn't drop a release date. Oh well. It worked with Angels, maybe that was the point! The "doll" terminology has been used since at least as far back as the debut of the anime "Mobile Suit Gundam Wing", back in 1995, where many of the mechs were referred to as "mobile dolls". Xenoblade X using this term is simply a throwback which the mecha genre audience has long been familiar with. "Doll" was probably originally used as a metaphorical term referring to humanoid inanimate objects being used by people to their own ends, especially for war, in the same way as "puppets" being directed at an enemy. They may have went for "Doll" instead of "Puppet" back then, though, since the term "puppet" often has a distinctly negative connotation. However... the "dolls" in the Gundam series were essentially their version of our Drones. They were not piloted by people, like the Xenoblade X mechs are. So, the name was inappropriate to begin with, anyways. 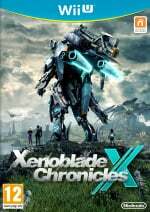 If they're going with the term "exoskeleton", though, then "X-Skell" or even just "X" might be a more appropriate name, seeing as how the name of the game is Xenoblade "X". ...Then again, the term "X" would turn into a stupid sitcom joke pretty quickly: "Hey, I'm going to pilot my X (ex) now..." "Wait, you have an ex (X)?" "Of course I do, it's right there!" "You dated your mech suit???" "WHAT! What gave you that idea!?" "Well, you just said it's your ex (X)..." "Not that kind of ex, pervert!" "You're the one who keeps going inside it's abdomen, calling it your ex..." "stamps foot Baka Baka Baka!" I agree with some people though, Skell sounds a lot cooler than Doll. They probably changed it because the English conotation for "Doll" wouldn't exactly make the cut for an American military machine...so it's actually a good localization choice because this is supposed to be Neo LA. If it were Neo Tokyo, then yeah, they should have kept it Doll to keep the reference Plywood Stick was talking about. I will still call them Dolls, I like it better and Skells sounds like it trying to hard to be edgy. I think I like Dolls more, but the name doesn't really matter. @JakeOfAllTrades Welcome to Treehouse, where things are changed for the sake of changing. @DarthNocturnal The point probably was to have an uncool name, but that has been scrapped by Treehouse, cause Treehouse. Sigh, Dolls made sense. Both normal dolls and these mechs are humanoid objects that we are meant to manipulate or control. Now though, it seems that NoA wants us to ride into battle atop homeless drug addicts. They are called "Skells" because they are armored exoSKELLetons. Makes sense to me. From Dictionary.com: a homeless person who lives on the streets, sleeps in doorways or subways, etc. ; derelict. From Urbandictionary.com: Any lowlife drug addict on welfare. Can usually be found in s*** neighborhoods drinking beer all ****ing day. Identified by missing teeth, bad skin, being crack-thin (like a skeleton, hence the word: skell), and stinking of booze. In that case, "Exos" would be a FAARRR better term. @AVahne I agree with you, but the name still makes sense to me so it's fine either way. Fine Skells whatever. When can I by it? Liked "dolls" better. It was a way more deceptively cool name. @AVahne Well, technically, everyone who uses an automotive vehicle (or in this case, an automaton/automated vehicle) is a fuel addict. Always will more be needed to satiate our hunger for fast-paced travel. At least the name gets that part right. I do like Skell better myself, especially after saying it out loud a couple times to get a feel of it. @AVahne Yeah, it is... Maybe "metaphorically" would have been a better term than "technically"... Even then, it's a loose association. I'm good with "skells" I can show everyone how good I am. Har har har. "Dolls" sounds like a Google Translate mishap, but "skells" just sounds cheesy. Then again, that kinda sounds like a lot of actual British slang. well its been a very long time but werent the mechs in gundam also sometimes called dolls, probably a japanese thing. Anyway. If it was the kind of dolls you'd have to inflate. Or blow (up). The game would be a big tribute to balloon fight? @AVahne The actual definition of the word skell actually makes the name fit somewhat. After all, they are made and controlled by the humans, who can be considered homeless and are forced to take refuge on an alien planet where everything is foreign to them (and they are foreign to the natives). It's completely possible that the humans are seen as criminals in a way by some of the natives. Skells work's. It will grow on us when it gets here and we all throw our lives away in it because we know this game is amazing. Is it just me or did we not learn anything new from this excpet for the fact that they are Skells and not dolls for the English release? Is there even going to be room on the disc for a duel audio? So... No release date huh? @AVahne That's a dumb thing to call a mech suit. Why not change the K into an H. Shell! Still doesn't beat Doll, but much better than Skell! But yeah, it would have made more sense. With the movie just around the corner, though, maybe they wanted to avoid any unneccessary lawsuit. They could add it as a downloadable pack, like the ones that will improve load times. One Naruto game on 360 did this, had English on the disc and then a free pack with the Japanese voices. I hope that is so. I really want the game to be dual audio like the original Xenoblade. "Skells" doesn't really sound so bad, sort of like "shells" or "skell"-eton. I didn't mind "Dolls" either, was a fitting name in my opinion. @andrea987 I kinda hope that movie wont get past the developing stage. An American remake is a dumb idea all around. I don't think they would have any issues calling them Shells for that reason, it's not like it's in the title. What the hell do mean what was the point? All those Japan videos were just long trailers. This actually showed the game in action and was much more exciting to me anyway. Did you really expect something besides a release date? The game isn't even out in Japan yet. What new info would they the share with North America they wouldn't release to Japan first? The only other option was just translate the Japanese videos which has already been done unofficially. That would have been horrible. I liked them being called Dolls. Oh well. @DarthNocturnal Megas is the perfect name! I loved that show. @Antiginger Well if you've been keeping up with the Japanese presentations you would know that this was one of the only new pieces of info. The rest we've known for quite a while now. I think the only thing I'm not comfortable with is the name Skells. Sounds negative, not edgy. Should be Exo Mechs: gotta catch "EM" all! I much preferred "dolls". I have to assume that the change was made because there is the impression that western males are afraid of being emasculated and playing with "dolls" would somehow do just that. I'll probably continue referring to them as dolls because I'm comfortable with my masculinity and sexuality. I don't really care for how they'll re-name or re-brand the names. I just want the original JP voice-overs in the western release! Does anyone else miss the days when we just called them mechs? @wisdomsprince - I'll only accept a gold star so I can pin it on Eliza Dushku. If that doens't make any sense and you were replying to a different post, apologies, I've been on here way too much of late. I will continue to call them dolls, anyway.